Adrián Beltré Pérez is a Dominican former professional baseball third baseman. Originally signed as an amateur free agent, he made his Major League Baseball (MLB) debut with the Los Angeles Dodgers in 1998 at age 19. He subsequently played for the Seattle Mariners, Boston Red Sox, and Texas Rangers. He batted and threw right-handed. He became one of the most all-around accomplished players in history; he ranks 13th in defensive Wins Above Replacement and was the fourth third baseman to reach 400 home runs and 1,500 runs batted in. 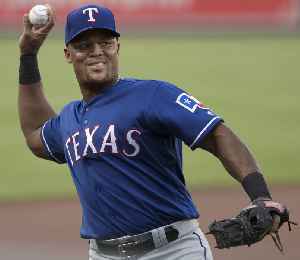 Beltré was a four-time selection for the Silver Slugger Award and MLB All-Star Game, and a five-time winner of the Rawlings Gold Glove Award.